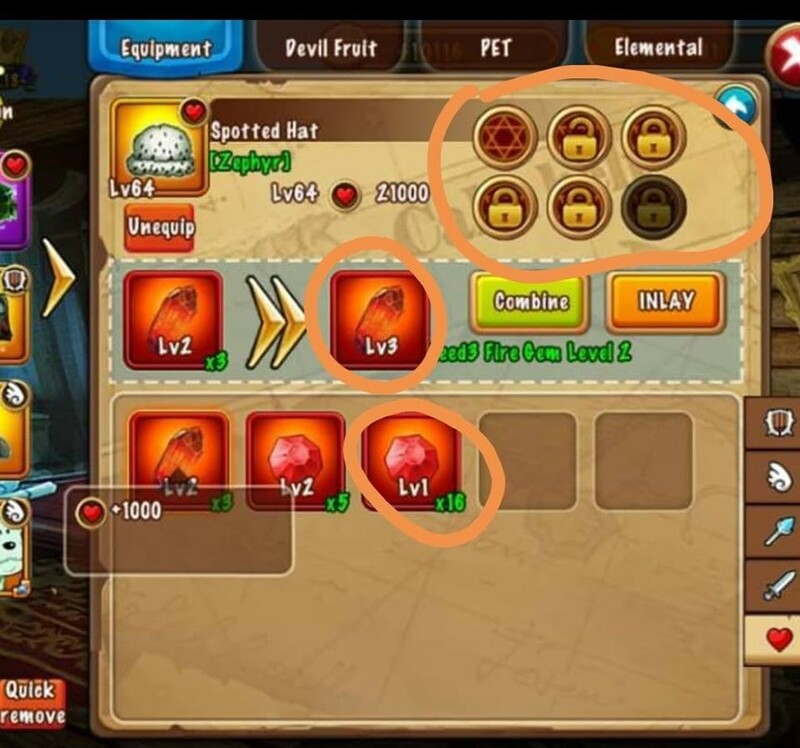 You can equip gems to each equipment/weapon. Up to 6 gems per item can be equipped, you need one time per slot chisels to unlock them. There are 2 kinds of gems, those who give fixed value (new!) And those who give % plus. About union: u can have 1 captain and 2 vice Captains. - Union war will be better than before and all member can participate. - You will have even a union boss to fight against him, that's Jack!